Our personal world is far from being an island paradise. It’s more like a crowded street corner, full of ambient noise—the dull murmur of hundreds of people talking at once, frequent shouts, random horns blowing, and billboards talking to us through endless ad copy. On top of the madness, the last thing you want is for your spiritual hunger to turn into spiritual starvation. Neglect personal interaction with God, and you’re liable to inherit hydra-headed troubles, such as susceptibility to a stale faith. Or a marriage that seems to always get sand in its gears. And don’t forget parenting, work, and life purpose. All of those become an Alcatraz of sorts when we relegate Jesus to lower shelf space out in the garage. We’ve learned to manage the pressures of life by hitting the road, escaping on vacations. The longer and more frequent the excursions, the better. Yet the return is terrible because while visiting the land of postcards, we fall in love with mountains and surf. That taste of heaven gained gets lost on a colorless Monday morning when we’re back in an office cubicle. The loss of it seems to hurt more than if we had never gotten it at all. You can’t escape the crowd for long. It’s your life. But you don’t have to let it mangle you. The thing Christians recommend the most (to each other and to those outside the faith) is a vibrant relationship with Jesus. It’s also the thing we trust the least. How do I know this? Because of how we act when life starts to squeeze. A demanding schedule is like an overloaded ship that rides too low in the water. In order to keep it from sinking, we scan the deck for the least important things to chuck overboard. Invariably, devotional time with Christ turns into one of those throw-aways. We choose it for elimination because it doesn’t seem to make any contribution to the needs of the day. It has no pragmatic worth, and worse, threatens to use up a precious twenty minutes that could have been spent on Facebook. A devotional time block is supposed to be a concentrated, direct interaction between you and Jesus. Face to face. Heart to heart. Ideally, this is when you share with Him your worst pain, your paralyzing fears, your hopes and dreams. It’s also where you absorb encouragement from Him, answers, conviction, guidance, and glory. But maybe you can do without all that. At least some Christians really think so. I read an article recently written by a Christian stay-home mom who was tired of hearing admonitions about spending time with Jesus. She was also feeling condemned over it. Her thesis was that as a busy mom, devotionals were out of the question. They seemed unrealistic to her and impractical. I’m sympathetic because “Mom” is shorthand for “overworked” and “unappreciated.” My distillation of her particular story was that the kids woke up all hours of the night. Dad rushed off to work in the morning, where (at least to her sentiment), he got to enjoy a break from the smells and crying. But she was left managing a daily, household circus. That meant exploding diapers and a relentless creep of clutter all day. Not to mention naps that didn’t happen, errands, vomit in car seats, tantrums in Walmart, red rashes, globs of food spit out on bibs, a sink full of dishes with hard spaghetti on them, and crashes from the other room accompanied by urgent crying. Mom’s conclusion was that she would get back to Jesus when the kids were old enough to go off to school. Until then, devotionals were too demanding a concept. But the problem here isn’t devotionals. It’s her concept of them. When time with Jesus necessarily refers to journals, a comfy leather chair, highlighters, a double latte, and an hour of quiet time, then yes, I agree with that mom—the whole thing is unrealistic. If you can have those experiences, great. I encourage people to invest a regular half-hour in Jesus’ presence, knowing they will never regret it. But married, working folks with children who have the sleep cycle of hamsters? For them I encourage a different set of tactics. First, if you’re a harried parent or stressed-out student, don’t swing over to the extreme, and throw out devotionals. Instead, change the way you think about them. It’s important to get creative in making space for moments with Christ, because it leads to the filling of the Holy Spirit. This is something Paul told us to seek in Ephesians 5:18. Filling leads to an outcome—the fruit of the Spirit in Gal. 5:22-23, which is love, joy, peace, longsuffering, goodness, kindness, meekness, and self-control. When a believer decides not to bother with devotionals, the problem isn’t that he or she has failed to keep some kind of evangelical must-do. Let’s get away from the checklist for a minute. They’re not bad Christians. Or lazy. They’re simply planning a life with a lot less potential than they could have experienced. The mom who decides to put off her personal spiritual health is actually flirting with years of not being filled with the Spirit, except on those random occasions when it happens by accident. Like when that special praise song comes on Christian radio and touches her heart, or when the preacher Sunday morning just happens to hit a sermonic fly ball right into her hands. The rest of the time, she must deal with the low-level chaos of little ones in the house, minus the fresh fruit of love, joy, peace, patience, kindness, goodness, faithfulness, gentleness, and self-control. Factor in the sometimes insensitive, rude, or selfish spouse as well. Without the filling of the Spirit, where will her resource come from to meet these challenges? Skipping time with Christ isn’t a solution, it’s a mistake. When we put off being filled in Spirit until some idyllic future time, that time will never seem to come. The same goes for the workplace. Stresses of every kind loom over your head there—the crazy commutes, fear of losing the job, pressure to climb, moral and ethical temptations, interpersonal conflict, and an ever present competition with peers. Picture yourself in that environment without the presence of Jesus. Sooner or later, something is going to cave in. But what can we do when we’re being double-teamed by schedules? It’s time to go guerilla. The idea of guerilla (as in guerilla warfare), means simple, focused, brief, and opportunity-based. Traditional armies and tactics don’t do well against this type of fighting, because it’s unorthodox. It tends to operate outside the box. If you connect the concept of guerilla with devotionals, you’ll get the same effect. First, guerilla devotionals are simple. They don’t require a lot of tools. In fact, the more you bulk up with additional equipment, the worse off you’ll be. According to Ephesians 6, aside from the purely defensive armament mentioned there of breastplate, shield, and helmet, our spiritual weaponry comes down to a sword, which is the word of God that we handle with prayer (vv. 17-18). No need to complicate things. Choose a verse of scripture and read it slowly, deliberately. What impression did you receive while reading it? Pray that impression back to God. It’s as simple as that. This practice isn’t supposed to involve a systematic study of Scripture, complete with cross-references, footnotes, and Greek lexicons. That’s for another time, when life loosens its stranglehold on you. For right now, you have five minutes. That means a single scoop of vanilla with no sprinkles or fudge topping. Second, guerilla devotionals are focused. Avoid distractions such as electronics that tempt you to check statuses. Don’t try to have a spiritual “quiet time” while making the kids’ lunches, or while in your car during rush hour. You’re looking for a focused five minutes, not a scattered fifteen. This takes some practice—shutting out where you were, or where you need to be, and instead, centering on where you are for these few minutes with God. Third, guerilla devotionals are brief. That’s good news, because the idea of setting aside large chunks of time is psychologically defeating if you already don’t have it available. Keep it short. You only need five to ten minutes. You might wonder, if it’s so short, is it really worth anything? Well, guerilla devotionals are mainly outcome-based. I remember being delirious from jet lag one time after arriving in Africa. The mission schedule was to commence with a full day of preaching. I woke up late, confused about what side of the world I was on, and rushed through the bathroom ritual. Someone shouted a five-minute warning for breakfast. I’m one of those guys who likes long prayer and contemplation. Five minutes for devotions is like five minutes for steak and potatoes and red wine. Why even bother? Wait for another day when the situation can be perfect. But I let go of that expectation and took those five minutes of focused prayer with one phrase from a verse. Spiritual perfectionists would find such a thing pathetic. I tend to agree with them, yet when I finished, I realized I’d freshly met Christ. And that was the point, not whether I had had a textbook devotional time. The question for you is the same. Did you meet Jesus during those five minutes? 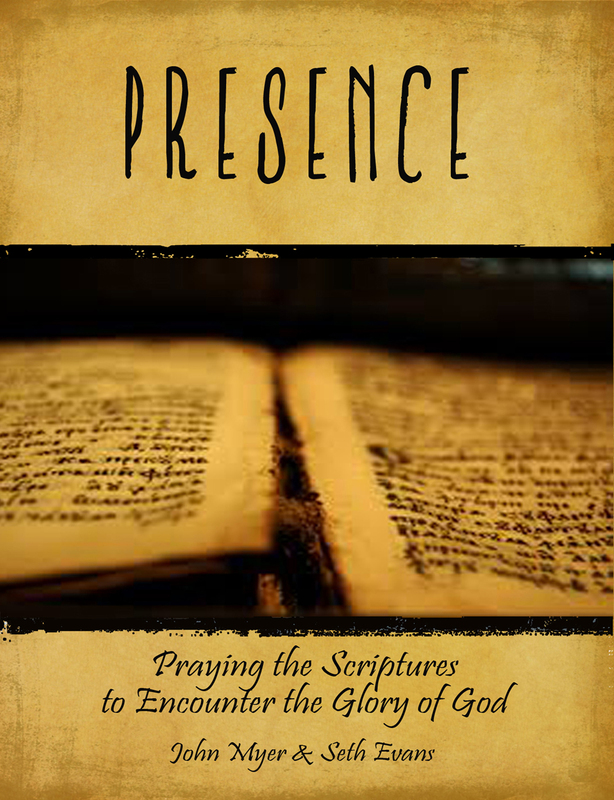 Were you filled with His presence through the Holy Spirit? That’s the point. That’s the outcome you’re looking for. And this, dear friends, is a large part of how we fight against our crowded lives. Besides, flights to Tahiti are expensive.